Slaughter will become COO at Getrag Ford Transmissions on Jan. 1. 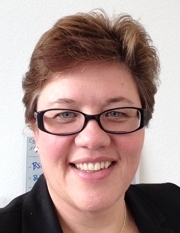 FRANKFURT -- Getrag Ford Transmissions, a joint venture between Ford Motor Co. and the Germany's Getrag KG, has named Sue Slaughter as its chief operating officer. Slaughter, 45, takes up the role on Jan. 1 and succeeds Kevin O’Neill, who is retiring. "I am very pleased to welcome Sue to this position. She brings extensive leadership experience in cross functional structures to Getrag Ford Transmissions,” Getrag CEO Mihir Kotecha said in a statement. 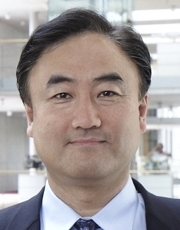 YoungHo Lee will take charge of Getrag's key China operations. As part of a wider shuffle of senior management at Getrag, the supplier also announced a change at the top of its Asia unit. YoungHo Lee, 55, formerly executive vice president of purchasing, will take on the role of CEO at Getrag Asia Pacific, with responsibility for the key China market. Getrag says it expects to generate 50 percent of its overall global business in Asia by 2020. 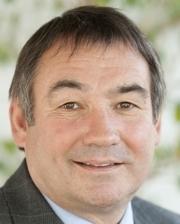 John McDonald will take up the newly created role of chief operating officer at Getrag. John McDonald, 58, formerly executive vice president of manufacturing at Getrag KG, has been appointed chief operating officer of the company. The newly created role consolidates the departments of manufacturing and purchasing, Getrag said in the statement. "Production and delivery of products to customers can [now] be executed with smoother processes and a broader team approach in future," Kotecha said of the role. The objective of the new position is to support product development and launches by effective, cross functional, simultaneous engineering and improved project management, Kotecha added.